I was so looking forward to the adaptations of David Peace’s ‘Red Riding Quartet’ – even when it was announced that the Quartet was going to shrink to a trilogy, losing his third book of the four, ‘1977’. The trailer looked amazing, and I had high hopes because of the high quality of the cast, and the attention to (period) detail on display. Now, with the final episode (the adaptation of ‘1983’) having aired last night, I cannot feel anything other than a slight sense of disappointment as I firmly believe that the production was an opportunity missed. The books, darkly complex, intricately and inexorably linked to each other, were simply too difficult to bring to the screen in any way that truly does justice to David Peace. That is not to say that these productions, taken as a standalone series of films, were not without merit. There were some outstanding acting performances (especially Sean Bean as John Dawson, David Morrissey as Maurice Jobson and Sean Davis as Bob Craven. However, Andrew Garfield’s portrayal of Eddie Dunford is a brilliant, powerful study of a young man getting in way out of his depth.). 1)Jack Whitehead. A central figure in the early books. His life falling apart, affected by the missing girls and the victims of the Ripper, he also appears to be under the influence of the ‘Reverend Laws’, and haunted by what happens to Eddie Dunford in 1974. In the adaptations, he is barely around in 1974, and 1977 was skipped anyway……….a great shame. 2)George Marsh. Unforgivable really. Ties in with the ending of 1983 (see point 10) being such a massive let-down. No George Marsh? You cannot really understand how John Piggott, BJ and Michael Myshkin were affected unless you have George Marsh, Martin Laws and the soiled memory of Piggotts father hanging in the air. His evil is an important element of the whole series. Why composite him into Laws? 3)Maurice Jobson and Mystic Mandy – you get no real sense of why or how they have ended up together, and then she just sort of disappears, when her fate is undoubtedly a trigger for Jobsons subsequent actions towards the end of ‘1983’. On film, the pairing did not make sense, and the lack of clarity on what happens to her is frustrating. Also, you get no real feeling for the fact that Maurice Jobson is a policeman mired in all this brutality and corruption. He sort of wanders through a lot of the scenes, and then in ‘1983’ he starts to get a bit irked by the beatings handed out to ‘suspects’ in the bowels of the police station. Then he gets a bit upset by Michael Myshkin. You get no real sense of a realisation from Maurice as you never got the feeling he was fully in on all the bad stuff, like he wandered through it all in a daze. That is not to criticize David Morrissey’s portrayal, as it was another fantastic performance from an accomplished actor, but Maurice Jobson was not a naif, or an onlooker to the many plots of the West Yorkshire force. He was party to them and an active member. This was never really shown, and because of that, his realisation of all that is bad within the establishment has less potency. 4)Not filming 1977. Ties in with point 1 (lack of Jack Whitehead) and point 6 (see further on). Apparently economics dictated that this could not be filmed as Grisoni has already written the screenplay. Without it, the flow of themes is disjointed. You get no real feel for the menace and seduction of Rev. Laws. 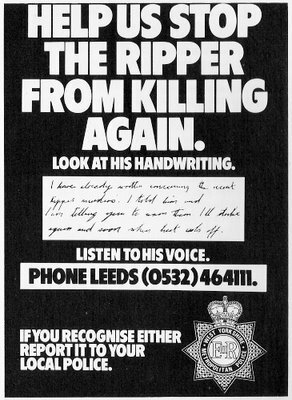 More importantly you get no real sense of the terror that the Ripper unleashed (especially as 1977 was the year he killed 4 women), and also one of the central points of the whole quartet – that there could be 2 killers on the loose (and one of them is using the Rippers modus operandi to clear up unfinished police business). 5)Reverend Laws. See point 4. A truly evil character, reduced to standing around in the shadows for most of the drama. Only toward the end of 1983 do we (partly) see him for what he is. Where was the trepanning? You glimpsed at it, but it had no significance without seeing it in context of ‘1977’. 6)The Yorkshire Ripper. By the time you get through to the end of ‘1980’ (the book), the events surrounding the capture and interrogation of Peter Sutcliffe are electric. After such a build of tension, horror and suspense throughout ‘1977’ (the book) and ‘1980’, this is one aspect of Peace’s Red Riding Quartet that has a clear resolution. In the adaptations, he is on the loose for a bit and then they catch him. No real tension, no sense of achievement in his apprehension. 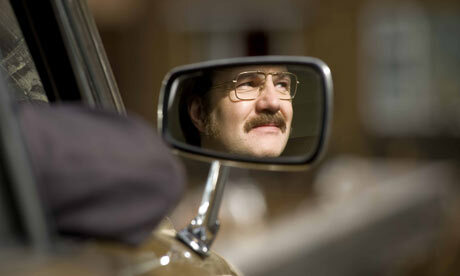 It left me a bit flat, though the portrayal of Sutcliffe by Joseph Mawle was understated and well judged. 7)BJ – just under utilised. His story is the most tragic, and although you get to see glimpses of that in the disturbing last few minutes of 1983, you don’t really understand what a complete wreck of a human he is, and how important he is to the overall themes of police corruption and the abuse of power, the abuse of children and the destruction of women. 8)What happened to Paula Garlands brother in 1974 – because without the disappearing Rugby League player, what was the connection to John Dawson (the Chairman of the Rugby League team) that Paula had then? There seemed to be no sense to the connection, and it diminishes the character of Paula. 9)While we are about it – George Oldman? What happened to him then? Surely integral to the hunt for the Ripper. 10)The ending of 1983. Was.Just.Wrong. It was not the ending in the book. There was too much of a ‘resolution’. Peaces book ended as darkly as it began. I will say it again, where was George Marsh? (see point 2). WHY WAS THERE NO GEORGE MARSH??? 11) Michael Myshkin. The heartbreak of an innocent man and his ‘underground kingdom’, his inability to save Jeanette Garland. Given no time or space, it was hard to understand why he had been framed, and hard totally sympathise with this brutalised innocent. One of the many victims of the bullying and corrupted West Yorkshire Constabulary, his story deserved more space and time. Some of the reasoning behind the quartet becoming a trilogy can be seen here. Also, an html version of the Channel 4 press pack for Red Riding is here. I would like to know what anyone out there thinks. Was it a missed opportunity or great television drama? They look like they have got the period detail nailed, and the casting looks superb – how can you go wrong with the likes of Paddy Considine and Warren Clarke? The short answer is – you can’t. This is going to be special. 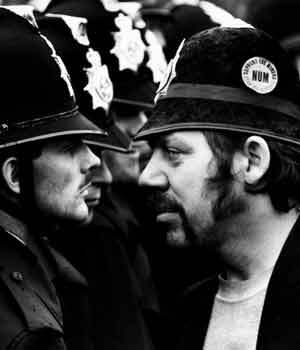 david hart, david peace, gb84, miners strike, numbers stations, scargill, thatcher, who is stephen sweet? GB84 – who was the real Stephen Sweet (aka ‘The Jew’)??? In David Peaces haunting, brilliant book ‘GB84’, the character of Stephen Sweet, enemy of Socialism, the Miners Strike and the free market, is portrayed as an eccentric and emotional Right-wing warrior in thrall to the UK Prime Minister, Margaret Thatcher. A peculiar figure in the book, he is both a fierce defender of Conservative values and a fragile, emotional creature with a flamboynt sense of style. He is one of the main characters in Peaces haunting account of the dispute (that went for a over a year between 1984 and 1985) between the National Union of Mineworkers (NUM) and the Conservative Government of the day. But who was Stephen Sweet – was he a fiction, a faction or a composite of several figures involved in the dispute? It seems that Stephen Sweet was simply based on the Milionaire David Hart, an advisor to Thatcher and the National Coal Board Chief Ian MacGregor. Through his efforts to get Miners back to work, to break the picket and to establish a breakaway Union of Democratic Mineworkers, who did not support the NUM action. He was associated with the Thatcher family, including Mark Thatcher, and if you read the links below, you’ll find out some more about the man who is Stephen Sweet. Is it a coincidence that when you put their names together you get SweetHart??? http://www.guardian.co.uk/politics/2004/aug/25/politicalnews.southafrica A guide to an attempted coup in Equitorial Guinea – with some familiar names implicated. http://k-punk.abstractdynamics.org/archives/006370.html – a fantastic book review and analysis of its content, context and meaning. Highly recommended. http://www.geocities.com/socialistparty/Documents/NumReviews.htm A socialist party review on ‘outstanding accounts’ of the Miners Strike. http://www.workersliberty.org/node/2366 – media bias in the portrayal of the NUM, Miners and Police. http://en.wikipedia.org/wiki/UK_miners%27_strike_(1984-1985) – what happened before, during and after the strike. http://www.strike84.co.uk/ – a brilliant site dedicated to the work of Martin Shakeshaft who documented the stike with his camera. 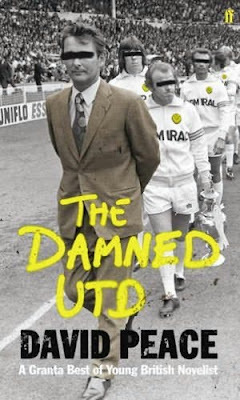 I have read some very good books this year (Ubik, Blood Meridian, The Road) but the stand out so far has been ‘The Damned Utd’ by David Peace. An account of Brian Cloughs short tenure as manager of English First Division high fliers Leeds Utd in the mid seventies, it tells the story through the eyes of Brian Clough, through his words, though the words are a fiction of the author. From what I remember about the man through his television and radio appearances, the Clough imagined here is accurate, but also more complex than I would have thought. Driven to succeed by perceived ‘failures’ and bad luck, this man is vulnerable yet has an unassailable belief in his own powers. Highly emotional, a family man with a strict moral code on winning and losing, his failings at Leeds give the story a poignant, even tragic, edge. The book presents him as an isolated figure, adrift in Yorkshire, seperated from his family and his managerial partner, Peter Taylor. At Leeds, the team of players he inherits from his bitter rival Don Revie is resistant to Cloughs unique charms and they present an almost united sullen blank face in spite of the managers cajoling. As the season gets underway the cracks begin to show very quickly, and with the team not winning, most of the fans, many of the players, the Directors and Chairman want Brian Clough out. There are 44 chapters, one for each day of his stewardship of Leeds, and contained within those chapters are flashbacks to his days as manager of Hartlepools(sic), his triumphs at Derby County and then the fall from grace, as he languishes at Third Division Brighton. As a character study of a great manager, as an historical study of the minutiae of football in the seventies, and as a novel, it succeeds. The book is evocative and sparks interest in clough so much that I want to read more about him – and there is a book called ‘Provided you don’t kiss me’ by Duncan Hamilton that looks like it will fulfil that need. I really cannot recommend this book enough.